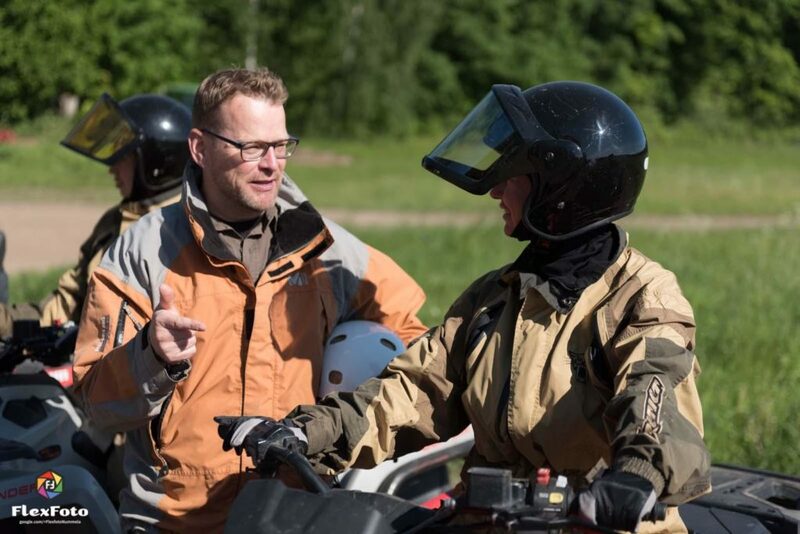 ‘Pois Tieltä!’ off-road safari offers driving experiences in Uusimaa region round the year for corporate groups in varying terrain: in the forest, in the fields, and some village roads as well. Driving events are tailored to suit the company’s needs, and different members of the group can split into different types of vehicles as they wish. The vehicle options are a land rover, quad bike, or enduro bike. The participants do not need to have any previous off-road driving experience, nor of driving in the terrain. All off-road events include training and guidance to ensure safe driving. Our experienced trainers will help the groups get started, and then the visitors get to experience the thrill of off-road safari themselves. The tracks vary from soft wetland to steep mountainside, from a meadow to a changing forest. The maximum height differences are fifty metres. Different seasons pose different driving challenges. The terrain is icy and slippery in the winter, muddy and wet in the autumn and the spring. We always go through the relevant safety issues and driving techniques for the land rovers, quads and enduro bikes before the drive begins. We will also take a look at the vehicle’s control equipment and how the walkie-talkies work. The walkie-talkies will be used to communicate with the instructor and the rest of the team. First, we will get everyone accustomed to their vehicle in easy terrain and then move to more challenging terrain. The visitors get to drive themselves, but our staff will accompany you to offer guidance and to ensure a safe safari. ‘Pois Tieltä!’ provides the appropriate equipment for you! ‘Pois Tieltä!’ will plan an entire driving day experience with you. 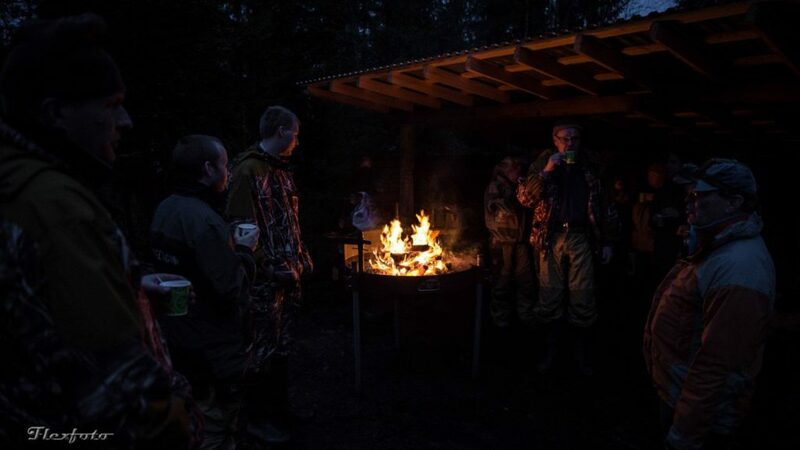 You can order dining, reserve a sauna, grill sausages and have coffee by the campfire. For companies, we also organise the necessary meeting rooms, accommodation, and transportation to the safari zone. Let’s plan together an off-road event according to your group’s wishes. The group size is usually from four to sixty.